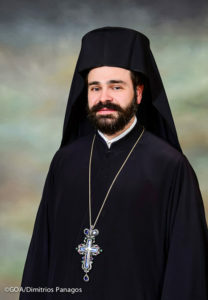 Metropolitan Nathanael of Chicago, enthroned just last month, impressed us with his enthronement address and appears to be quite suited to shepherd a Metropolis that was led for decades by a questionable prelate and his auxiliary bishop over the last few years, who has now been cast aside. Based on other reports as well, Nathanael appears to be a serious individual, a good orator (who has an excellent command of both languages), exceptionally trained, and above all, down to earth. From his interviews, we gather that he has an understanding of today’s social reality, and at a time when congregations are shrinking, the new Metropolitan believes that our Church must reach out to the faithful instead of waiting for the faithful to come to it. On the day of his enthronement, when students in Chicago and all across the nation were holding angry demonstrations in the streets, Nathanael pointed out that the area faithful must also take to the streets together with the protesting students to speak out against unrestricted weapons sales. Greek-Americans in the Metropolis of Chicago hope that Nathanael will restore order to the chaos that has prevailed up until now and decisively handle Elder Ephraim’s growing influence—a problem that the haggard Archbdiocese of America refuses to address. Next Article Meet Metropolitan Nathanael! *Sigh* Many Christians find this one-sided political pandering to be rather disheartening and divisive. At a time when Christians should be unifying regardless of our political opinions we are drawn apart by our fellow brothers and sisters who are trying to establish themselves among the elite classes of large urban centers who, for the most part, have nothing but disdain for our religious beliefs. Is it really worth disparaging the cultural, historical, and practical realities of our fellow Christians from the rural and more conservative parts of the country in order to appeal to the urban youth? Many Christians I know here in the South are gun owners. They’re law-abiding, hard working, and sincere in their spiritual walk with Christ. If we have to demonize the person-hood of one group of Christians in order to appeal to non-Christians, something has gone incredibly wrong. It’s much better to reach out to non-Christians in a way that does not stir up resentment within the body of the Faithful. And if anyone believes that weapon sales in any part of the country are “unrestricted” they are simply just not aware of the facts. If someone can still purchase an assault weapon with a bump stock, that’s being “unrestricted” to me. All of our churches need to post weapons free zone stickers on their entrances. There is absolutely no reason that a worshiper needs to carry a concealed weapon in church! And, as a former teacher, I strongly support students who speak out against unrestricted gun sales. ENOUGH IS ENOUGH and we don’t need to bury more of our children. I disagree vehemently with your views on the human right of self-defense and will do everything I can to see that your preferred policies don’t see the light of day. However, I will never disparage your Christian authenticity. Can you say the same of me? Or am I not one of the Faithful because I hold the opposite opinion? This is a yes/no question. I respect and share your concern about our children. I also, however, want interventions to prevent killings at school to effectively do that. I think the number of killings indicates a serious, serious problem with our culture, disaffected and socially isolated people and youths, especially young men. One of the recent killing events involved a gun but the student also brought bombs to the school. I can understand people who want to ban guns or seriously limit access in some way, but the truth of the matter is people in the midwestern university town near Chicago where I grew up had guns, they even sometimes even carried their rifles or shotguns in their trucks in a visible, locked gun rack. In other words, guns were readily available and yet we didn’t have the school killings that we have been experiencing. The problem we have is with the youth, and sometimes adults, who are doing the killing. Regarding solutions, putting a no-gun zone sign on a school or other building is like taping up a huge “Don’t Kick Me” sign. A gun-free zone is the perfect place for a person to harm children and adults; there are little to no controls for shooting or bombing or stabbing someone. Of course the perpetrator is going to go to an easy place to act. I don’t think I’ve heard of one of these youth walking into a police station with their gun, bomb, or knife; not that it couldn’t happen but I mention it to make a point about ease of access and harming people. Make the schools safe; control who and what enters the building. That can be done without making the environment into one that feels like a war zone or that scares children. A matter-of-fact attitude exhibited by teachers and parents will go a long way towards helping children to feel safe and not freaked out by such measures. Regarding the Metropolitan’s statement, in all due respect I felt that his statement crossed a line as he obviously is not aware of existing federal and Illinois gun laws, and mental health laws which protect information about patients/clients. Also, it was a blanket statement that doesn’t address the root problem of why the shootings, etc. are occurring at this time in our society. I appreciate his concern about the students, but I don’t think it is appropriate for him to be posing solutions… and even more so since the city he now inhabits is daily proof that limiting access to guns by law-abiding people (most people) doesn’t stop harming and killings. I am a lifelong Christian, Orthodox for 35 years, a nurse, and a social worker who has worked in healthcare and mental health as a staff person, manager, and administrator for many years. I used to be concerned about and afraid of guns and made many statements of support for gun control. But I realized that I was not being intellectually honest if I was taking a position because I was afraid of guns. I took two NRA pistol classes; 2 because I really wanted to develop some comfort with handling guns. I found wonderful, responsible people who are respectful of guns and handling them safely. I also found that I like shooting. It’s a great sport, one in which you can challenge yourself in many ways, and it is not abnormal to enjoy it. I even started a women’s shooting group and our meetings involved education provided by a qualified person at a private shooting range and then group shooting under the supervision of a qualified range safety officer. We had two graduate music students, two women who worked in the human resources at a major employer in the county, the head of the county’s juvenile probation program, and various other women. Guns are fascinating in their history and mechanics. Shooting is fascinating in that many factors such as wind, distance, etc. affect marksmanship. We enjoyed sharing knowledge about guns and practising our shooting skills together. I would encourage you to take one or two day-long NRA classes to learn about guns, how to handle them, and how to shoot them. After you have done that, I would be interested in hearing about your experience and if, you went into it with an open mind, if the experience changed your mind. I respectfully disagree with you. The NRA does not in any way, reflect my values. The NRA is a lobbying organization for the gun industry. Guns are designed to kill. As a Christian, I’m for life. So, I will not in any way participate in any of the programs and classes of the NRA. I support speaking out against “unrestricted weapons sales”. Tim, haven’t we buried enough of our children this year? Contrast that statement to the commentary that follows. All the Orthodox Theologians I have spoken to view the book “The Departure of the Soul” as not eliminating chaos, but fostering it. Personally I wonder when the people who expose an issue will not be classified as crucifying “The Elder Ephraim”? If there were a category for the worst Apologist in history I know where my vote would go. Bill, why do you refer to members of the Greek Orthodox Church in America as Greek Americans? Many of the Christians in my GOA parish are not Greek including my wife. Your language is offensive and exclusive. 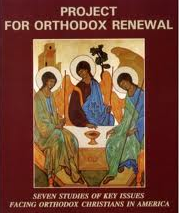 It sounds to me that you view the GOA as a Greek organization rather than the Body of Christ. I believe many GOA parishes are Greek clubs masquerading as churches and sense you promote a similar philosophy. I am in full agreement with your perspective on the Ephraim monasteries. JOHNKAL please look carefully, I quoted the author of the article. This was not my language but his. Unfortunately for all of us, this ethnocentric mentality of over emphasizing “Greek” will ultimately degrade the Greek Orthodox Church and its mission in North America. We should strive to use words like “adherents” when possible. Bill was quoting the letter from which these comments spring. 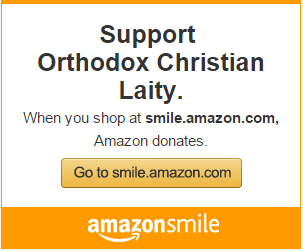 I’m sure he’s aware that Orthodoxy should be open to all. Mr. Carris thank you for your never ending promotion of what I and many others see as a “Blasphemous theology”. I would personally be careful of perpetuating myths. We live in a free country so I respect your right to be a proponent of anything. Clearly there is no heresy or practice that comes out of the Monasteries under the spiritual guidance of Elder Ephraim that you take issue with. There are thousands of example of Healthy Monasticism worldwide. Unfortunately you and I disagree as to whether some of the Monasteries we have in North America fit into the category of those Health Monasteries. Personally I feel that promoting Ariel Tollhouses is like spitting into the face of God.